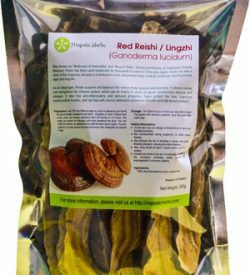 Welcome to the MajesticHerbs.com website (the “Site”). Majestic Herbs provides services to you subject to the notices, terms, and conditions set forth in this agreement (the “Agreement”). In addition, when you use any of our services (e.g., Customer Reviews), you will be subject to the rules, guidelines, policies, terms, and conditions applicable to such service, and they are incorporated into this Agreement by this reference. We reserve the right to change this Site and these terms and conditions at any time. ACCESSING, BROWSING OR OTHERWISE USING THE SITE INDICATES YOUR AGREEMENT TO ALL THE TERMS AND CONDITIONS IN THIS AGREEMENT, SO PLEASE READ THIS AGREEMENT CAREFULLY BEFORE PROCEEDING. It is intended for informational purposes only and is not a substitute for professional medical advice or treatment for specific medical conditions. It is your sole responsibility to consult a licensed physician or qualified health care professional for advice, diagnosis, and/or treatment of any health related condition. Submissions or opinions expressed on this Site are that of the individual expressing such Submission or opinion and may not reflect our opinions. 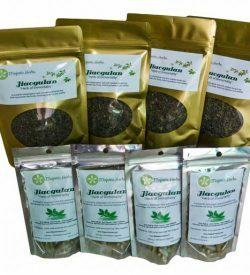 All text, graphics, button icons, images, audio clips, and software (collectively, “Content”), belongs exclusively to Majestic Herbs. 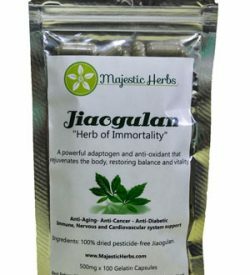 The collection, arrangement, and assembly of all Content on this Site (the “Compilation”) belongs exclusively to Majestic Herbs. 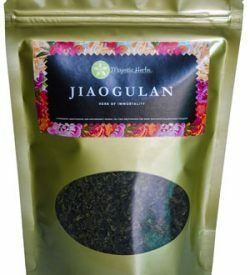 All software used on this Site (the “Software”) is the property of Majestic Herbs or its Software suppliers. The Content, the Compilation and the Software are all protected by Canadian and international copyright laws. 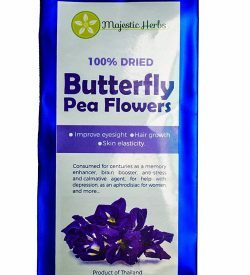 Majestic Herbs logos, slogans, trade names or words are registered trademarks, trademarks or service marks of Majestic Herbs. The use of any of our trademarks or service marks without our express written consent is strictly prohibited. You may not use our trademarks or service marks in connection with any product or service in any way that is likely to cause confusion. You may not use our trademarks or service marks in any manner that disparages or discredits us. You may not use any of our trademarks or service marks in meta tags without prior explicit consent. The risk of loss and title for items purchased by you on our Site pass to you upon our delivery of the items. This Site may be accessed from countries other than Canada. If you access and use this Site outside Canada you are responsible for complying with your local laws and regulations. THIS SITE, THE PRODUCTS OFFERED FOR SALE ON IT AND THE TRANSACTIONS CONDUCTED THROUGH IT ARE PROVIDED BY US ON AN “AS IS” BASIS. WE MAKE NO REPRESENTATIONS OR WARRANTIES OF ANY KIND, EXPRESS OR IMPLIED, AS TO THE OPERATION OF THE SITE OR THE INFORMATION, CONTENT, MATERIALS, OR PRODUCTS INCLUDED ON THIS SITE. TO THE FULL EXTENT PERMISSIBLE BY APPLICABLE LAW, WE DISCLAIM ALL WARRANTIES, EXPRESS OR IMPLIED, INCLUDING, BUT NOT LIMITED TO, IMPLIED WARRANTIES OF MERCHANTABILITY AND FITNESS FOR A PARTICULAR PURPOSE, NONINFRINGEMENT, TITLE, QUIET ENJOYMENT, DATA ACCURACY AND SYSTEM INTEGRATION. THIS SITE MAY INCLUDE INACCURACIES, MISTAKES OR TYPOGRAPHICAL ERRORS. WE DO NOT WARRANT THAT THE CONTENT WILL BE UNINTERRUPTED OR ERROR FREE. TO THE MAXIMUM EXTENT PERMITTED BY LAW, WE WILL NOT BE LIABLE FOR ANY DAMAGES OF ANY KIND ARISING FROM THE USE OF THIS SITE, INCLUDING, BUT NOT LIMITED TO INDIRECT, INCIDENTAL, PUNITIVE, EXEMPLARY, SPECIAL OR CONSEQUENTIAL DAMAGES. TO THE MAXIMUM EXTENT PERMITTED BY APPLICABLE LAW, OUR TOTAL LIABILITY TO YOU FOR ANY DAMAGES (REGARDLESS OF THE FOUNDATION FOR THE ACTION) SHALL NOT EXCEED IN THE AGGREGATE THE AMOUNT OF FEES ACTUALLY PAID BY YOU TO US DURING THE MONTH IMMEDIATELY PRECEDING THE ACT ALLEGEDLY GIVING RISE TO OUR LIABILITY. We respect the intellectual property of others. If you believe that your work has been copied in a way that constitutes copyright infringement, please contact us immediately. This site is created and controlled by us in the Province of Quebec, Canada. As such, the laws of the Province of Quebec will govern these disclaimers, terms, and conditions, without giving effect to any principles of conflicts of laws.